Using Registry Cleaner: Does Is It Really Make a Difference? Updatd by Tina Sieber on July 27, 2017. Advertisements for registry cleaners are all over the Web. There’s an entire industry out there bent on convincing inexperienced computer users that their registry needs fixing 7 Windows Maintenance Mistakes You Should Never Make 7 Windows Maintenance Mistakes You Should Never Make If you want to keep your Windows PC running smoothly, you need to avoid making these big mistakes. They could shorten your computer's lifespan and make your experience frustrating. Read More , and that, for ten easy payments of $29.95, their computers will be much faster. That isn’t true. 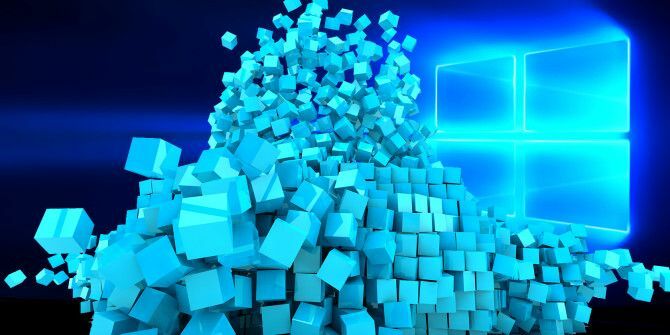 The Windows registry 5 Windows 10 Registry Tweaks to Improve & Unlock Features 5 Windows 10 Registry Tweaks to Improve & Unlock Features The registry editor is the only way to enable some of Windows 10's hidden features. Here we'll show you easy tweaks like enabling the dark theme or hiding folders. Read More is a massive database containing hundreds of thousands of entries, and a registry cleaner might remove a few hundred at most. This is great if you’re obsessively compulsive about removing useless database entries, but you won’t see any difference in performance. What you might see is a new problem because the registry cleaner swept away something important. The Windows registry is a database that Windows How to Reset the Windows Registry to Default How to Reset the Windows Registry to Default If you've messed up the Windows Registry, hopefully you have a backup. If not, you have a short list of options to fix the problem. Read More and its applications store their settings in. It contains hundreds of thousands of entries. Some of the entries may be slightly outdated — maybe you’ve uninstalled a program and it left a key or two behind, or maybe a there’s a file extension with no associated application. Registry cleaners scan your registry for these outdated entries and offer to remove them. Because there are so many registry entries to go through, they’ll sometimes also remove useful registry entries How Not to Accidentally Mess Up the Windows Registry How Not to Accidentally Mess Up the Windows Registry Working with the Windows registry? 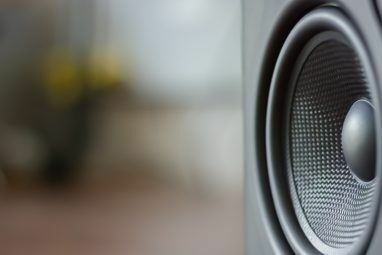 Take note of these tips, and you'll be much less likely to do lasting damage to your PC. Read More , causing you problems. The Web is full of stories from people who have run a registry cleaner and encountered problems. A registry cleaner that claims to improve performance by removing a few hundred registry entries is like a file system cleaner that offers to improve performance by removing a handful of small configuration files. Above: These “problems” are not actually problems. If you must use a registry cleaner, you don’t have to pay anything. Using a free registry cleaner, such as the registry cleaner included with the respected CCleaner utility (we’ve covered CCleaner in the past), is good enough. In fact, you’ll probably have better results with CCleaner than many of these fly-by-night companies. And by “have better results,” I mean that CCleaner is less likely to break things How to Fix Windows Registry Errors & When Not to Bother How to Fix Windows Registry Errors & When Not to Bother In most cases, fixing our registry will do nothing. Sometimes registry errors cause havoc after all. Here we'll explore how to identify, isolate and fix registry problems – and when to not bother at all. Read More . Any performance increases will still be unnoticeable. Eusing Free Registry Cleaner is another free option. Registry cleaners also claim to optimize your registry, defragmenting it for faster file access. At first, this sounds great — your registry is constantly being used, so surely defragmenting it will offer improvements in speed, right? Wrong. Or, at least, not really. The registry is loaded into your computer’s RAM when it starts, so you won’t see faster registry performance as a result of this. If you really want to defragment your registry, you don’t need a registry cleaner. Microsoft offers an official PageDefrag utility for Windows XP. Windows 7 or Vista users will need an unofficial utility like Auslogics Registry Defrag. Auslogics Registry Defrag dramatically overpromises the imperceptible performance boosts you’ll get from running it, but at least it doesn’t tamper with your registry. And at least it’s free. Use one of these utilities if you want. But I’ll warn you now: You won’t see a difference in performance. But Microsoft Had Their Own Registry Cleaner! This is true. Microsoft once provided a free registry cleaner named RegClean. It hasn’t been supported since Windows 98. In fact, Microsoft removed it from their website because it caused so many problems. If registry cleaning was so important, Microsoft would have rolled it into Windows, or at least updated their utility. Microsoft has been integrating useful system utilities into Windows for a long time: automatic defragmentation, firewall protection, anti-spyware, and even antivirus, with Windows 8 Will Windows 8 Succeed Or Fail? [Opinion] Will Windows 8 Succeed Or Fail? [Opinion] Microsoft is trying to make Windows 8 be all things to all people. Or at least all operating systems to all devices. A risky strategy that has rarely, if ever, worked. This is Microsoft reaching... Read More . They’d integrate a registry cleaner if it was helpful. Where Are the Performance Tests? Here’s the thing: We computer geeks love squeezing every drop of performance out of our systems. People benchmark all sorts of software tweaks and hardware overclocks and create performance graphs that show adjusting one setting makes a certain game 1% faster. If registry cleaners really worked, there would be serious, independent performance tests that showed the performance increase after running a registry cleaner. But there aren’t. If you find a test, it was likely produced by a registry cleaner company or an affiliate site that gets paid when you buy a registry cleaner. If you disagree with this post, let’s see some reputable performance benchmarks. Above: Not an actual scientific test. But I bet you can’t find a better chart. Registry cleaners offer no perceptible increase in performance. Registry cleaners can break things. Even if registry cleaners don’t break anything, using one wastes your valuable time and (perhaps) money. 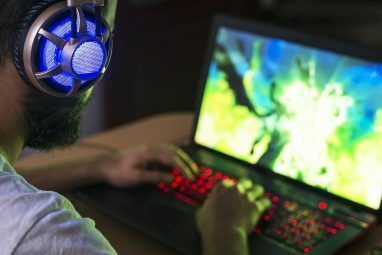 If you’re looking to increase your PC’s performance, there are real steps you can take 10 Ways to Improve Gaming Performance on Your Laptop 10 Ways to Improve Gaming Performance on Your Laptop Want improved laptop gaming performance? These tips will ensure your laptop can easily run the games you want to play. Read More instead of buying the snake oil on offer. Explore more about: Computer Maintenance, Registry Cleaner, Windows Registry. Registry cleaners are good to get more than one use out of 30 day trial software. Uninstall after it expires, run a cleaner, reboot, and then voila! You have another 30 days. FYI. Where can i get this tool? Looks like the performance improvements I think I get are all in my head! Seems likely! The placebo effect is very real. All this may be true for average home user, but did you ever try to clean a school computer ? The mess a bunch of kids can make in a week can only be matched with their rooms, but cleaning it ? Nooooo. Programs of this kind can save you hours of work. When somebody just erase program or even whole folder just try to manually clean registry and see where it gets you. Brocken links, moved files, “temporary” internet settings, Ugh don’t remind me, It’s regular nightmare. I tried most of them and yes they should be used with caution but in some cases they are indispensable. Using good uninstaller that would clean up most of leftovers from uninstalled programs is in my opinion best way to avoid need for extensive clean-up afterwards. On the same note, cleaning after Norton, Kasperski, Nero, is at best just as hard. In all extreme cases like that those cleaners can make perceptible difference at boot time and in responsiveness of the OS. So , back up registry ,uninstall programs properly clean registry as per usage and sometimes defragment it ( found few fragmented up to 50 % , believe it or not ). Just like everything maintenance is half of healthy system. Yikes. There has to be a better solution. I remember when I was in high school, the computers in the computer labs all had Deep Freeze on them -- when the computer rebooted, it would revert to a snapshot of its previous state. All changes were temporary, so students couldn't do any lasting damage. That's better than a registry cleaner -- running a registry cleaner, uninstalling software, repairing deleted files, scanning for malware -- that'd practically be a full time job! I don't envy you there. Deep Freeze sounds a useful preventative measure to take. I simply feel that a properly configured network with the appropriate permissions in place would safeguard from any problems users could cause. I recall that at my school, the only changes we could make were within our personal folder on the network; which amounted to little more than a place to save homework, essays and the like. Oh, and may I thank you Chris for this article. I plan on sharing this with a few select people. This should curb the unusual looks I get when I criticise registry cleaners (even the free and relatively safe ones such as included with CCleaner) as little more than a waste of precious time and potentially worse still - money. Yup, a locked down network might make more sense these days. The computers with Deep Freeze had Windows 98 on them, I think -- it was a few years ago. Windows 98 isn't meant to be a multi-user operating system. And thanks, The 24! It really is unnecessary - at best. I mean, if there's a specific problem it can be fixed, but the focus of a registry cleaner seems to be on "cleaning" stuff rather than fixing real problems. Still, if someone's going to use a registry cleaner, best they use CCleaner. I`ve been using registry cleaners (paid ones ) for years and I have had my problems with them removing thing that were vital to the operation of certain programs, however after using them for so long I come to realize the things they are good for . Uninstalling or erasing invalid entries is good as well as fixing mixed up setting in programs and the most important thing to me is they do a great job of keeping my PC from crashing. Prior to using a paid registry cleaner I was using cCleaner but my PC kept crashing - I would run my anti-virus, system defrag and cCleaner and in less than a day my PC would crash again. After about 5-6 crashes and after losing all my work I had done I decided to purchase a registry cleaner and hope that it did what it advertized. Once and awhile I still crash my PC but it`s only when I have not run my registry cleaner for quite some time (around a month). Many times I have been using different programs and all of a sudden they stopped working like they were just a minute ago (i.e. a setting gets changed for no reason)and by running the registry cleaner the program was quickly returned to working the way it was supposed to work. I normally only clean when I have a problem that cannot be fixed by rebooting, virus removal or defragging my system and by doing it this way my registry cleaner has served me well. Also when I have my registry cleaner pinned to the start up menu and working in the background it keeps my system practically error free and interruptions in my work from changing settings for no reason become practically non-existent. A registry cleaner can definitely clean up left over bits of programs, but I don't see how it can prevent crashes. If you really have frequent problems with crashes, you probably need to reinstall Windows or replace a hardware component -- a registry cleaner can't really protect against crashes. People shouldn't need to pay for a third-party registry cleaner to get their system working properly. It isn't necessary. For the most part, I agree that most people should stay away from registry cleaners. However - and here I have to say something. You have missed an important point in your article. True, cleaning the registry will probably NOT give you one iota of performance boost. What it WILL do is occasionally clean up trash that really should have been removed when a program is uninstalled. I have been working professionally with computers longer than I want to admit. I have seen my share of strange problems. Some of the worst are when a program was installed and, after causing problems, the user uninstalled it. BUT - what happens when the program doesn't uninstall cleanly and leaves libraries behind - libraries that are still being loaded by WIndows? Honestly, I've seen some very weird problems cured by simply making a backup of the registry (CCleaner does a good job of backing up everything it removes), clean the registry and reboot. Don't use a registry cleaner for performance. Use it when you have weird problems that can't be solved by any other method. Make a backup first, and then ask someone who deals with these kind of problems. I've recommended CCleaner to my customers, but ONLY for cleaning up disk space. I tell them that if they are tempted to clean the registry, call me first! If they ignore my advice, they can pay me more later to repair THEIR repairs! Hi Brian, thanks for your input. You make a very good point! A registry cleaner might help in identifying a problem, but you're right to think that only experienced users should be fixing those problems and poking around in the registry. Many registry cleaners are marketed as something an inexperienced user can run with no knowledge. Just a few clicks and it'll fix problems and speed up your computer with no risk -- that's just not true. I used CCleaner on my pc after three years of use and it cleaned 3 GB of unnecessary files so it worked well for me. CCleaner is really useful -- it's just the registry part that's suspect. I'm always installing, uninstalling and testing software. As a result, it seems like I'm always taking backups of my registry. Unfortunately, it seems that most of the software creators "out there' are not as concerned about properly coding the uninstallation of their programs as they are when they're put on your PC to begin with. Given that, having 20 or 30 backups of a registry that has anywhere from an extra couple hundred lines to a thousand or more can add up. Then, there is the "cleanliness factor". I like a clean house. I'm currently in the process of building a new studio office and in the process I've ended up with small pieces of wood all around the outside of the office. Leaving them on the ground certainly doesn't hurt anything and I can easily step over and around them... but I prefer to clean them up. Same goes for my registry. The same goes for scanning for and removing duplicate files, uninstalling programs no longer needed and so on. There are a number of real good programs that are "relatively" safe to use and are free, so the idea of these late night "infomercials" saying they'll log in and super-speed up your PC for only $19.95 are funny at best. For most people...as long as you backup your registry before and after, and you don't go into the intermediate or advanced controls without first learning what you are doing - you "should" be pretty safe. Ironically, these late night advertisements, and how they've screwed up some of my new customer's computers has actually generated some additional income for me by fixing up their messes. I don't really think the extra hundred lines take up much space. I know what you meant about it "feeling" clean, though. I used to duck into the registry cleaner section when I used CCleaner because I felt like I was "cleaning" something. But it was just giving me the feeling of cleaning, and not really doing anything important. I agree cent percent with the post. I myself also haven't seen any performance enhancement after using any registry cleaner. Thanks! Has anyone? I wonder. I have been using microsoft operating systems since windows 3.11 and I concur that the article is 100% spot on. the registry is a database and the entries in it only become active when a program is pointed to that entry, deleting them only reduces the space taken up by them, there is no performance increase. With the size of hard drives today deleting registery files is a waste of time. All my clients are informed of this and it then becomes their choice to either use a program they do not understand or to let windows run as microsoft intended it to run. the same goes for antivirus software, why would you use anything except for microsoft forefront or security essentials to protect your microsoft operating system, to use anything else is like topping up your petrol tank with deisel. It will still run, just that it will run like a dog. Thanks for the vote of confidence, Dave. I'm a Microsoft Security Essentials user myself, too. You have some real good points Dave but I caution everyone about blind dedication. Microsoft is not infallible. As a matter of fact, specifically regarding Microsoft Security Essentials (MSE), of the very few times I have had virus issues, one of them was when I was testing MSE for my clients. Now, that doesn't mean that I condemn MSE completely as I believe that none of the anti-virus programs are 100% perfect but I only say that to make the point that everyone needs to do their research and let the facts decide and not just the name behind the software. You are spot-on with regards to helping your clients: inform them the best that you can and let them decide for themselves - they need to take responsibility for their decisions and actions. I agree. MSE definitely isn't the only option for antivirus programs. Why do people think expression like "I've been using a computer for X years" and "My clients" adds any validity to their arguments? If you don't think your arguments will hold any water then you probably shouldn't be posting. Though frequent cleaning is not necessary, for computers which have been used for far too long without any maintenance, registry cleaning might help. At times, thousands of obsolete entries clutter the registry, which in turn slows down everything. Also, invalid registry entries may also bring up unknown errors. So a registry clean every 4 months or so is helpful. CCleaner is the best option. No need to shell out even a penny for all those other cleaners. I don't really buy all that, but I do agree that CCleaner is probably your best bet if you're dead-set on registry cleaning. Edit: Realized that for improved performance I use registry defrag programs, and with them I notice a performance boost, even though I've not run analysis to backup my theory. That's the problem with not running analysis, right? There's the placebo effect, it just *feels* faster to us. Wow, very informative and helpful. Thanks for the article! You're welcome! Glad I could illuminate this subject. I've used Windows since it came along. I've bought several registry cleaners. On rare occasions they find errors that should be fixed by uninstalling and/or reinstalling programs. My verdict? The registry cleaners are not worth paying for. I'm using Revo Uninstaller, and letting it run all the time.Trouble? Uninstalling last program or some suspicious. Problem fixed. That's a program worth paying for. Really. I don't get a cent for saying what I say. Truth. True, Fred. Using an uninstaller program like that has some advantages that registry cleaners don't. These are tools that should be left for professional use only. I use them on a regular basis, especially on new client computers. There is a lot of crap that gets left behind from uninstalling software that can lead to a lot of problems down the line. It is much faster than going through the registry manually to find and fix these errors. And I have yet to find a tool that only finds things that should be removed, therefore an experienced person should review EVERYTHING it reports and ensure that nothing will be removed that can cause system problems. I agree, Bruce. If you're going to use a registry cleaner, you should look over what it's removing and make sure it's not removing anything important. The problem is that these programs are marketed at people that don't know what's important and what isn't. I,ve been using Ccleaner for a few yrs, now but for some reason it will not work anymore ..I,ve tried previous versions - I tried compatibility program included on my windows #7 home premium I tried everything but it won,t remove anything in the registry anymore ..can you please help me with this please? maybe I did something to change the paths in the folder or maybe its not in sync with something or other I tried just about all I know but I can,t get it to work and when I try to contact anyone at Ccleaner I can,t get anyone to help. I sure would appreciate it if you could maybe tell me what to to with this? I even tried uninstalling and re-installing ect, ect,ect, I,m confused because it always worked perfectly before. :( thank you ..
CCleaner has lots of useful features; you'll get more bang out of the others. AthTek Registrycleaner is also one of the best registry cleaners that i've used before. From its page: " It can greatly boost your PC speed and guarantee system performance." It sounds like one of the scam apps I was attacking here, to be honest. Especially since it costs money -- just stick with CCleaner. As a long time windows user I wouldn't personaly promote registry cleaners. Registry cleaners might serve a certain purpose as a last resort.Me myself a long time windows user can't say using them regulary speeds up my system. Matter of fact is they clean up stuff normal users might not understand. Just clicking and "believing" these wizards will perform as advertised should be taken with a grain of salt. I believe there is a certain comparison to antivirus scareware. Yup, registry cleaners are a big type of "scareware." There are advertisements for them all over the web that are just misleading at best, or outright fraudulent at worst. Even if registry cleaners do not improve performance to any degree, they are capable of locating errors that might need correcting ... such as invalid paths....or they may locate missing files that should at least be looked at. CCleaner is definitely the one to use. I'm not sure an invalid path really matters -- programs should just ignore it. i have been doing windows for many many years....i have never ever ever used a registry cleaner in a real world environment in my life....they are simply not required.